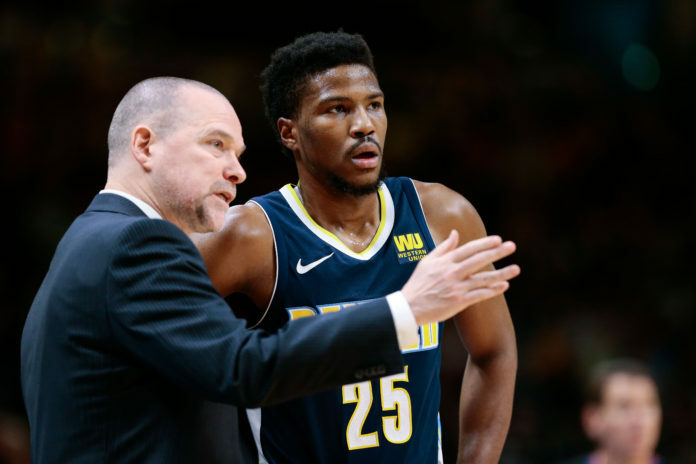 When looking back on Malik Beasley’s 2017-18 season with the Denver Nuggets, it is nearly impossible to not think of the phrase ‘lost year’ even though he played in 40 extra games compared to his rookie season. Beasley played nearly three times as many minutes this season compared to his rookie year, but none of his averages increased in any significant way with the increased workload. His minutes remained inconsistent throughout the season as he went on to produce just 3.2 points, 1.1 rebounds, and 0.5 assists in just 9.4 minutes per game. There was no clear leap that Beasley took in any way either. He would show flashes of the explosive athletic ability he possesses, defended at a very high level for short stretches, and showed off the incredible rise on his jump shot, but Beasley was never able to put everything together which left him on the outside of Nuggets’ head coach Michael Malone’s rotation. With that being said, Beasley is heading into the offseason with a plethora of things he wants to work on. He spoke at length with the media during his exit interview saying that he essentially wanted to expand every facet of his game. 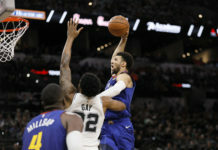 While a spike in on-court production is needed for Beasley to see more playing time, the biggest obstacle that Beasley faces on his path to proving he belongs in the NBA is learning how to grow from the inconsistent young player receiving inconsistent playing time into a role player that can be depended on. Beasley knows what he needs to do and reiterated that to reporters during his exit interview. Now — armed with his newly understood realization — Beasley sees a new path towards improvement and progression. What is interesting is that the newly-found path to growth is much more of a mental perspective shift than a physical change for Beasley. That change in approach is not just in relation to basketball either. Beasley has taken it upon himself to try and become a more well-rounded in as many facets as he can while also cutting out things like social media that could be more of a distraction. Beasley seems to be attempting to dive into improving mentally as vigorously as he has physically. Beasley wasting no time either. 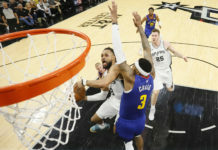 When he was asked about what he is focusing on throughout the offseason, Beasley told reporters that he isn’t waiting to start training or going on vacation. He was starting his offseason workouts directly after his exit interview. 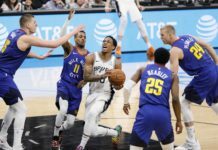 Even though Beasley did not play big minutes for the Nuggets this year, the way the season ended left just as bad of a taste in Beasley’s mouth as it did the rest of his teammates. That feeling of loss and dejection is just adding gasoline to the developmental fire inside of Beasley. This is the biggest offseason for Beasley individually, but also for the Nuggets, and that has not escaped Beasley. Before his interview ended, his last words carried heavy emotional weight with them.